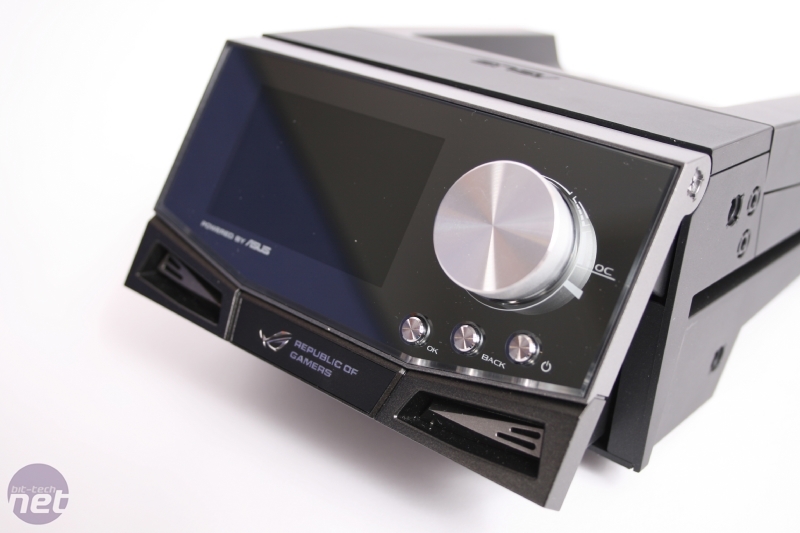 Dedicated overclocking hardware has always been something of a holy grail for manufacturers. Sadly, much like the Monty Python movie, attempts to obtain the grail usually end up in comical escapades rather than success. 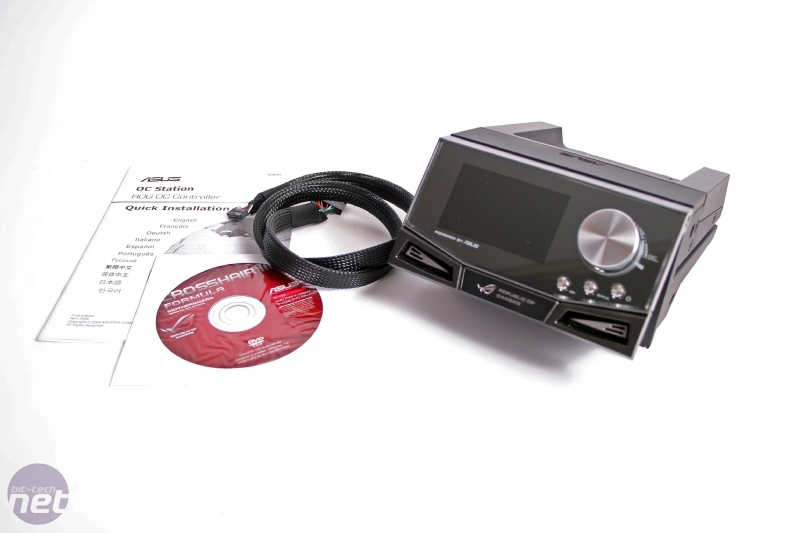 For this reason, moans and chuckles filled the bit-tech lab when we received the OC Station, a hardware overclocking tool and fan controller in one. 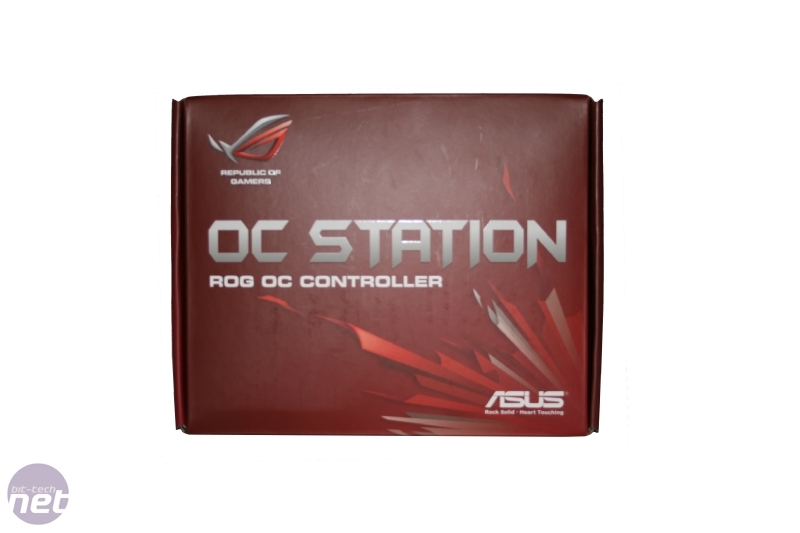 This latest product in the Republic of Gamers (RoG) range is only compatible with the Rampage II Extreme, Rampage II Gene, and Crosshair III motherboards. 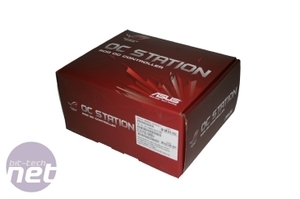 Only these latest RoG motherboards have the required header for the OC Station. 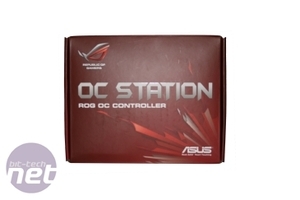 Asus has done a great job of making the OC Station look the part. to answer questions with, ‘Bidi bidi bidi, what’s up Buck?’ for most of the day. Buck Rogers references have now been banned from the bit-tech and CPC lab. 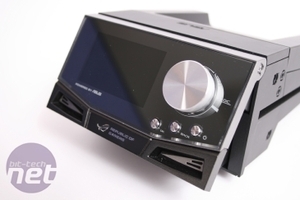 The front fascia has a glossy mirror finish that gives the 3in full-colour TFT a look of quality. The OC Station fits in two spare 5.25in drive bays, and the entire fascia can tilt upwards to a 30° angle, making it easier to use for those who keep their PC on the floor. The OC Station requires a Molex power connector as well as a connection to a proprietary header. The compatible motherboards place this header mid-way along the bottom edge of the PCB, but the 70cm cable should reach from the OC Station in most cases. When the OC Station is wired up, navigating the menu using its three buttons is highly intuitive. The options on the display are taken directly from your BIOS, so they correspond to that particular motherboard. All the core tweaking options from our Crosshair III were available through the OC Station, for example, including HTT, vcore and memory and chipset voltages. We were pleased to find that the OC Station changed the BIOS settings in real time. After experiencing far too many dire hardware overclocking tools, James was in such disbelief when he heard this news that he forced the team to turn out their pockets to check for brown envelopes full of cash from Asus. None turned up – the OC Station really does work. With a few pushes of the button and turns of the dial, we were quickly able to overclock our AMD Phenom II X4 955 Black Edition to 3.7GHz, not far short of the 3.82GHz you can squeeze out of the chip through an extensive overhaul of a quality BIOS.